Jessie Arms Botke was a native of Chicago, where she studied at the Art Institute. In 1911, she was employed with Herter Looms in New York, where she also assisted Albert Herter with a mural project at the St. Francis Hotel. 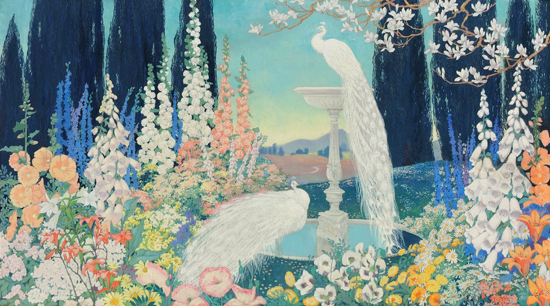 In 1915, she returned to Chicago where she met and married the artist, Cornelis Botke. The Botkes moved to Carmel in 1919, and after an extended trip to Europe, settled on a ranch in Santa Paula. 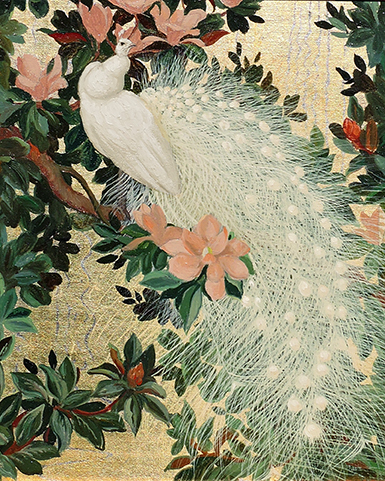 Jessie Botke is best known for her bold decorative works of exotic birds. Very much inspired by Japanese screens, Botke often utilized gold-leaf as background for her oil compositions.